At Catharine Street Community Center, we need your support to help our children thrive. Our programs are an integral component of our community. You can help us make a difference. Whether you choose to sponsor a child for our summer enrichment program or attend our annual Martin Luther King, Jr. breakfast celebration, your support enables the Catharine Street Community Center to help our children. 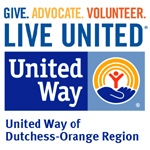 Please click our donate button below or call us 845-473-2272.